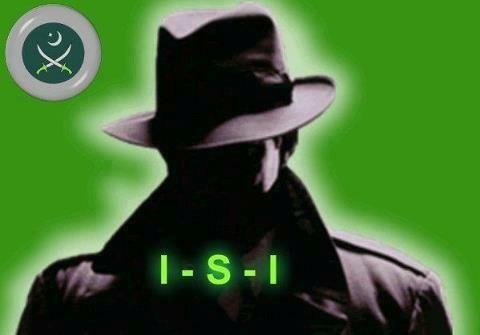 Must the ISI sit down peacefully and observe silently the notorious activities of the forces hostile to Pakistan. What do the CIA, the MI6 and other intelligence agencies of different countries do when their country is in some trouble or facing some internal or external threat? Certainly, silence becomes a crime when action is required; so this is what the ISI is doing; it is taking action to save its motherland from the cruel hands of intriguers, intruders and conspirators. ISI is not a state within the state as some of our ‘well-wishers’ have been blaming since long, it in itself is a state and the name of this state is Pakistan. ISI does what it thinks is better in the larger interest of Pakistan. Its working is simply based on very sacred passions of love and of sacrifice. It is because of these passions that we always find the name of this intelligence agency among the list of the best intelligence agencies all over the world. Even the enemies of Pakistan admit the supremacy of ISI regarding professional perfection. S. Dulat is the commonly known name of Amarjit Singh Dulat. He is a former special director of the Intelligence Bureau and former chief of the Research and Analysis Wing. He served as the Head of Research and Analysis Wing from 1999 to 2000. After retirement, he was appointed as advisor on Kashmir in the Prime Minister’s Office and served there from January 2001 to May 2004. He is considered the brain and heart of the RA&W. Last year someone asked him which the most powerful intelligence agency is in his opinion. He abruptly replied, “The most powerful intelligence agency is either KGB which no more exists or the ISI because they are very anonymous.” Certainly, A.S. Dulat is a true professional and his comments about the supremacy of the ISI count a lot but for most of the countries, it seems difficult to accept the supremacy pointed out by A.S. Dulat. It may be a sense of fear or a feeling of insecurity of the forces hostile to Pakistan that this most powerful intelligence agency always remains under their criticism. Targeting the ISI and looking at it with suspicious eyes is nothing new; it is an old tradition of our friends all around us particularly in the USA. It is not only the desire of US, India and Israel, there are so many others including Afghanistan who wish that a ban must be imposed on the ISI because they feel this organization is a threat and a challenge to their hegemonic and notorious designs against Pakistan. Almost seven years back in 2010, the Reuters published a report by Michael Georgy with the title, ‘Pakistan’s ISI, a hidden, frustrating power for U.S.’ The report said, “Top U.S. defense officials are concerned that some elements of Pakistan’s main spy agency may be interacting improperly with the Taliban and other insurgent groups. ISI is the most powerful intelligence agency in Pakistan, a country the United States sees as indispensable to its efforts to tame a raging Taliban insurgency in Afghanistan.” The report further said, “The shadowy military intelligence agency has evolved into what some describe as a state within a state. It is believed to have a hidden role in many of the nuclear-armed nation’s policies, including in Afghanistan. 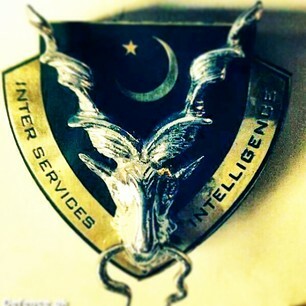 The ISI is seen as the Pakistani equivalent of the U.S. Central Agency (CIA) — with which it has had a symbiotic but sometimes strained relationship — and Israel’s Mossad.” Another report published by Wikipedia highlighted ISI’s activities in the US said, “The Inter-Services Intelligence has been alleged or previously documented by various authors of running an active military intelligence program in the United States, as well as operational activities related to America outside the country. The ISI has reportedly been suspicious about CIA’s attempted penetration of Pakistani nuclear assets, and CIA’s alleged intelligence gathering in Pakistan’s tribal areas along the Afghan border. Based on these suspicions, it was speculated that the ISI was pursuing counter-intelligence against CIA operations in Pakistan and Afghanistan.” In short everyone including the US admits that the ISI has always been doing all best possible in the larger interest of Pakistan, and certainly it is the job and duty of the ISI to keep an eye on the activities of the forces hostile to Pakistan and to counter every effort that may be harmful to Pakistan. Why the world is so much worried about the working of the ISI, I could never understand. Every intelligence agency works for the safety and security of the country it belongs to. It must be appreciated that the ISI is performing its duty honestly and successfully same as the CIA, FBI, MI6, Mossad and other intelligence agencies do for their respective countries. As far as the allegation of being a state within the state is concerned, this allegation has been ‘awarded’ to almost all intelligence agencies of the world. In this particular reference, the term of Deep State is getting very much popular in the US nowadays. This term describes ‘a form of an alleged cabal that coordinates efforts by government employees and others to influence state policy without regard for democratically elected leadership’. Alfred W. McCoy, a Professor of History at the University of Wisconsin–Madison states that the increase in the power of the U.S. intelligence community since the September 11 attacks has built a fourth branch of the U.S. government that is in many ways autonomous from the executive, and increasingly so. An important point to be noticed here is that in the USA, which is no doubt a country considered as the very center of democratic trends and traditions, where there is a lot of resources and which has no threat from any side and anyone, the intelligence agencies are playing a role stronger than the government; they are running there a state within the state but it is very ironical that our friends in America expect from Pakistani intelligence agencies a role which is totally inactive rather passive. 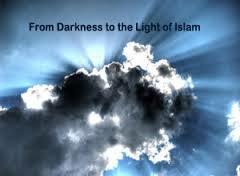 Islam is a complete code of life and cannot be separated from politics. I like Maulana Tariq Jameel and his lectures are effective for moral development of a Muslim. When Zaid Hamid Sahib initially wrote some posts against Maulana Tariq Jameel, then I also felt hurt. However, we should abstain from blind following and should not forget that Pakistan has been a victim of worst kind of terrorism since many years which is backed by foreign elements. We are only Muslims, neither deobandi nor barailvi. All deobandis are definitely not terrorists, but TTP (Tehrik-e-Taliban Pakistan) are definitely deobandi. In these circumstances, all scholars (deobandi and barailvi) including Maulana Tariq Jameel should openly condemn terrorist groups, specifically TTP. Zaid Hamid Sahib has raised a point since many years that TTP are not true Taliban and have been created by RAW and CIA to defame Afghan Taliban. He says TTP are ‘Khawarij’ as per Ahadith who attack and kill innocent Muslims (women, children, the elderly and Pakistan Army-men). Afghan Taliban never kill innocent people but they have only been fighting against NATO forces in Afghanistan. To fight this worst kind of terrorism in Pakistan, the scholars not only should openly condemn terrorist groups but they should label them ‘Khawarij’ as per Ahadith also. This is the viewpoint of Zaid Sahib. It is important to note that Dr. Israr’s Qur’an Academy has now declared TTP as ‘Khawarij’ also. It is a reality that some Imams of deobandi mosques do not condemn TTP, but speak against Pakistan Army. It is admitted that Musharraff committed crimes in tribal regions initially but after that RAW and CIA created TTP to destabilize Pakistan. There is much difference between the situation of before and after. Hence it became our war. Our dear Prophet (peace be upon him) not only preached but pointed out the hypocrites and the conspiring Jews in Madinah thus opening a front against them. Hadhrat Abu Bakr Siddique (ra) also conducted Jihad against the trouble-makers in his time. Hadhrat Imam Hussain (ra) did not yield to the evil ruler of his time. This is Islam! As far as Tableeghi Jamaat is concerned, they have some good to offer also though we could have dissatisfaction over their modus operandi. Indian spin doctors, especially those associated with Rashtriya Swayamsevak Sangh (RSS) and other extremist Hindu groups continuously propagate against Pakistan, and aggressively use anti- ISI narrative with a view to showing Islamabad in bad light, while maligning Pakistan’s top intelligence agency, ISI. Their sick mind and elusive psyche spread intriguing thoughts and breed wickedness against country’s superior agency. Driven by their crookedness and sense of acrimony, they coin fresh jargons and initiate chimera to conduct incessant psychological operations which are detrimental to Pakistan’s interest and cause aspersions against ISI. In July 2013, Indian media, fed by its Intelligence Bureau (IB), shamelessly insinuated against ISI for reactivating its terrorist network to attack Hindu leaders and their establishments in several cities in India. Indian government was warned to put the security mechanism on high alert as RSS Chief Mohan Bhagwat was touring multiple Indian states. Ultimately, the entire storyline-plot proved fake and fabricated. Pakistan ignored the Indian malevolence, suggesting that such baseless allegations will jeopardize the peace process between the two countries. But, Indian propagandists learnt nothing and ignored Pakistani advice. In this context, Indian newspaper Deccan Chronicle published a similar story on November 7, 2014, titled “Pakistan’s ISI may target India’s key economic centers and important installations.” In this regard, Namrata Biji Ahuja who wrote it, contended that IB and other Indian assets informed that new terror module trained by ISI have entered India to strike at key economic installations including Reserve Bank, Bombay Stock Exchange, New Delhi’s Tihar Jail, Bengaluru BSF HQ at Jalandhar, Patiala Jail in Punjab and Avantipura in J&K. IB shared information with Indian law-enforcing agencies that the group entered India via Rajasthan border and proceeded towards Pune and that they will be provided with arms and ammunition by local sleeper cells. Such media reports not only leveled serious allegations against Pakistan and ISI for training terror modules to attack Indian targets, but also inflicted serious damage to the image of Pakistan and prestige of ISI. Above all, the storyline contains biased figments of mental illusions and fake contents. Indian patterns of propaganda pose a very gruesome picture as whenever a sabotage activity is planned by Indian RAW, Indian media pro-actively accuses Pakistan for an impending terrorist attack which is straight away categorized “I labeled it as Pakistan ISI sponsored.” The possibility of RAW undertaking a dangerous terrorist activity inside their own country cannot be ruled out, as they have been doing the same in the past. In this respect, it is notable that Indian rulers were emphatically accusing Pakistan’s ISI and Lashkar-e-Taiba (LeT) for the Mumbai terror attacks of November 26, 2008. But, on July 19, 2013 the Indian former home ministry and ex-investigating officer Satish Verma disclosed that terror-attacks in Mumbai in November 26, 2008 and assault on Indian Parliament in January 12, 2001 were carried out by the Indian government to strengthen anti-terrorism laws. Similarly, exposing the nexus between Bhartia Janta Party (BJP) and RSS, Indian Home Minister Sushil Kumar Shinde revealed on January 20, 2013 that organized training camps run by the fundamentalist parties, RSS and BJP were promoting Hindu Terrorism. He also explained that these extremist parties were behind the Samjhauta Express, Meccca Masjid and Malegaon blasts. But, India always accused Pakistan’s ISI of all these subversive acts, while, Indian official confession shows that these terror attacks were, in fact, arranged by RAW in connivance with Indian home-grown terrorists. This could also be judged from the incident, when on April 6, 2008 in the house of Bajrang Dal fundamentalists in Nanded, a bomb went off. The investigation proved that these militants were found in the bomb-making and attack on a mosque in Parbhani in 2003. Anti-Terrorism Squad (ATS) of the Maharashtra arrested a serving Lt. Col. Srikant Purohit along with other army officials, indicating that they were helping in training the Hindu terrorists, providing them with the military-grade explosive RDX, used in the Malegaon bombings and terrorist attacks in other Indian cities. ATS further disclosed that Lt. Col. Purohit confessed that in 2007, he was involved in bombing of Samjhota express, which brunt alive 70 Pakistanis. While, Afghanistan has become a hub of anti-Pakistan activities conducted by RAW with the tactical assistance of American CIA and Israeli Mossad—from where particularly RAW is sending logistic support to Baloch separatist elements to dismember Pakistan. For this sinister move, a religious Madrassa of Wakhan, located in Afghanistan is functioning under the patronage of RAW. It is being used for brainwashing of very young boys who are Afghans and so-called Indian Muslims. Posing themselves as Pakistani Taliban, they have joined the ranks and files of the Tehrik-e-Taliban Pakistan (TTP), and other banned extremist outfits. In the recent years, especially TTP’s insurgents and its affiliated banned groups conducted many terror-activities like suicide attacks, ruthless beheadings of tribesmen, assaults on security personnel and prominent figures including Shias, Ahmadis, Sufis, Christians, Sikhs and the suicide attack at Wagah border checkpoint in Lahore, on November 2, 2014. Besides, terror-attacks in Khyber Pakhtunkhwa, FATA, Balochistan and Karachi are part of the scheme to create chaotic situation in the country. Indian Consulates in Afghanistan are also playing a very negative role in supporting TTP and Baloch separatists. Besides India is also encouraging TTP factions showing allegiance for DAISH ISIS(Islamic State in Iraq and Syria), to get united. As regards cross-border terrorism, former Indian Army Chief Gen. VK Singh openly confessed in September 2013 that special intelligence unit like Technical Services Division were raised by him to operate inside Pakistan, particularly in Balochistan and Azad Kashmir to conduct terrorism and to bribe the politicians in the Indian-occupied Kashmir. Nevertheless, as military operation, Zarb-e-Azb against terrorists is proceeding well in North Waziristan Agency by obtaining its objectives, and India feels out of sort. In this connection, Indian hawks have planned to keep Pakistan, its Armed Forces and ISI under pressure. 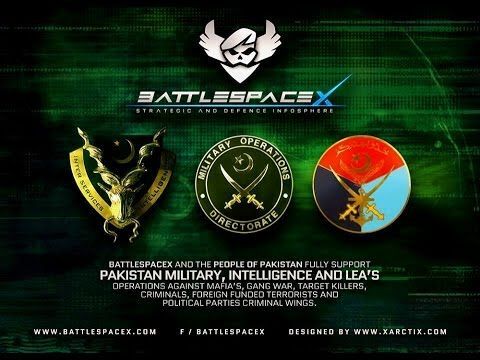 Therefore, anti-ISI articles by their writers, associated with media wing of RAW clearly indicate Indian animosity against Pakistan and this top agency. Nonetheless, Indian recent accusations that ISI trained modules are entering India through Rajasthan and are proceeding towards Pune are ridiculous and baseless. Hence, Pakistan must take such allegations seriously and an assertive rejoinder be issued against such media reports. While, countering Indian propaganda against ISI, our media must contest that Pakistan is a peace loving country and does not tolerate such insinuations. Indian media must owe an apology for publishing such a defamatory article in its national newspaper. 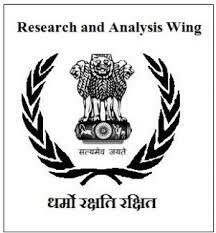 India’s intelligence agency, the Research and Analysis Wing (RAW) is extensively involved in Pakistan’s, and neighboring countries’, affairs along with other foreign spy agencies such as the Israeli Mossad and the Afghani NDS. Based on the principle of conducting uncover battles through well-trained agents, RAW has assumed a significant role in Indian foreign policy since its inception in 1968. RAW’s operations include the use of espionage, ethnic divisions, sabotage, terrorism and propaganda campaigns through the establishment of a massive network in target countries. The RAW leaders obtain critical information to satisfy Indian strategic interests and classify the data with the assistance of advanced technology and computer networks. Lately, RAW has been held accountable for being involved in Karachi and Balochistan unrest along with the assistance of foreign intelligence agencies. More than 1 million weapons are imported to Karachi by the foreign intelligence agencies, contributing to violence and broader unrest in the area. The CIA, Mossad, and RAW are jointly working towards the ethnic division of Karachi by providing funds to military groups to conduct terrorist activities and destroy Pakistan’s nuclear assets. 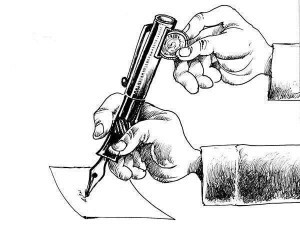 Through the establishment of a collective network in Pakistan, the foreign spy agencies give the local population financial incentives, thus promoting their strategic interests in the area. The poor, unemployed youth of Karachi is an easy target for the foreign secret agencies that recruit criminals, journalists, and security personnel and train young agents to execute targeted killings. Also, RAW supports Indian Muslims who join the Taliban regime in order to enhance religious schisms in Pakistan. Pakistani Inter-Services Intelligence (ISI) has evidence of RAW’s involvement in unrest in Karachi. After conducting terrorist activities, militants went to RAW’s offices to collect their fee and get further directions. Friends and relatives of Maulana Fazlullah (a Pakistani Taliban) frequently meet with RAW leaders at the Indian Embassy in Afghanistan and collect money to support terrorist acts in Pakistan. Pakistan views India’s growing diplomatic involvement in Afghanistan as an effort to cover for RAW’s undercover operations toward Pakistani destabilization. Pakistani Inter-Services Intelligence (ISI) accused RAW of training and arming nationalists in Balochistan, Pakistan’s largest province in the Afghan border, to conduct terrorist attacks and cause havoc in the area. India denies the accusations, but strong evidencesuggests that RAW cooperates with NDS, Afghan intelligence agency, to provide weapons to the Balochistan Liberation Front (BLF), Balochistan Liberation Army (BLA), and other Baloch militant groups. Several sources confirm that secret agents receive training from Afghan national forces and RAW to conduct terrorist activities. BLA and BLF are involved in sabotage activities and targeted killings, are terrorizing citizens and are spreading propaganda against the central government, the Army and the ISI to the Baloch youth. With the assistance of the Afghan government, Baloch separatists are hiding in Kabul, Nimroz and Kandahar training camps in Afghanistan under the protection of NDS and are provided with fake passports and travel documents for moving to India, UAE and Western countries. RAW organizes Baloch language courses with Baloch teachers in India for agents who possess the skills to create further unrest through terrorist activities in Balochistan. Besides, RAW provides financial support to Baloch feudal & militants both in Afghanistan and Balochistan. On the other hand, the Federation of American Scientists (FAS) confirms that, throughout the Afghan War, RAW has orchestrated terrorist activities against Pakistan to discourage Islamabad from supporting the Afghan liberation movement against the Soviet Union, Pakistan’s strong ally. Additionally, nearly 35,000 RAW agents have entered Pakistan in the from 1983-1999 to work at terrorist camps. Today, nearly forty terrorist camps are under RAW’s Special Service Bureau (SSB) in Kashmir, Rajasthan, Uttar Pradesh, East Punjab and others. So, it is highly unlikely that RAW is not involved in unrest in Balochistan. Where does RAW find millions of US Dollars to pay its secret agents? Stephen P. Cohen of Brookings Institution claims that “the CIA has assisted in the creation of RAW” although their relations were established even before RAW was formed. In 1962, just after India’s war with China ended, the CIA trained an undercover organization with Tibetan refugees in India to execute terrorist activities in China. On these grounds RAW was formed in 1968. And apparently, the relations of RAW and the CIA extend beyond the operational level. Additionally, there has been a boost in India’s undercover operations after 9/11 terrorist attack in New York. India became a strong supporter of the USA against the Muslim world and the USA opened the doors for India’s intelligence services. The CIAfacilitated the entry of RAW militants in Pakistan with the aim of destabilizing the region. Since 2008, targeted killings in Karachi and Balochistan have created the grounds for the emergence of a nationalistic movement, with the help of the Western allies, USA, UK and Germany, but also Afghanistan and Israel. The oxymoron is that the CIA trained both agents of the ISI (Pakistan’s ISI Denies,Ever Allowing CIA Come Near ISI Agents after the Soviet Exit from Afghanistan) and RAW to use terrorism against an enemy. However, RAW’s agents have received better and more sophisticated training than their Pakistani peers.